CHESWOLD, Del. (WPVI) -- A memorial fund has been established in the name of Cpl. 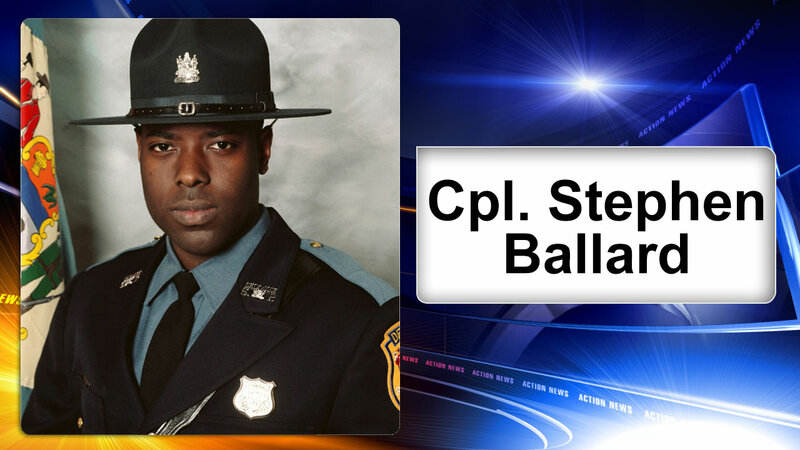 Stephen Ballard, the Delaware State Police trooper who was shot and killed in the line of duty. Ballard died after the shooting on Wednesday afternoon in Bear, Del. The suspect was then shot and killed by police on Thursday morning after a nearly day-long standoff. Proceeds from the fund will be given to Ballard's family. State police say this is the only memorial fund established in Ballard's name.